An older, more experienced, and determined blacksmith who just arrived in town challenges young Gus Roundtree’s plans to open a blacksmith shop. The trouble is, there’s only enough work for one of them. The behavior of a kind, elderly widow changes when her son returns from five years at sea. Patch investigates and is ambushed by a gang of vicious outlaws. Patch and Gus run toward a bank robbery in progress, and all hell breaks loose when four more robbers arrive. 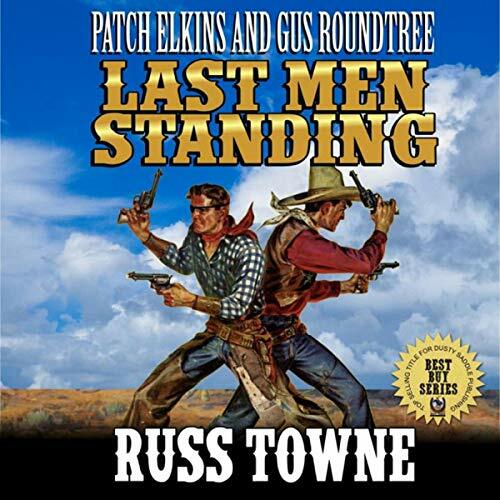 Gus’ reluctant efforts to help a love-struck friend lead to humorous and then disastrous results when three brothers out for revenge hatch a vicious plot to kill him and frame his friend. This tale introduced Patch, Gus, and Helen to the world and inspired all the other stories featuring them. It was published in earlier work; but, as the seminal story for these characters, it seemed fitting to include it in this publication. In this story, they are in supporting roles, but they left such a lasting impression on my fans and me that they deserved stories of their own. In this story, Helen sends a letter to Longshot Hanson, asking him for help when Patch arrests the brother of a gang leader for murdering the mayor during a town council meeting. In a desperate bid to secure his brother’s release, Cord Stoddard and his gang kill the school’s teacher and kidnap the students, including Patch and Helen’s daughter and Gus’ twin sisters.